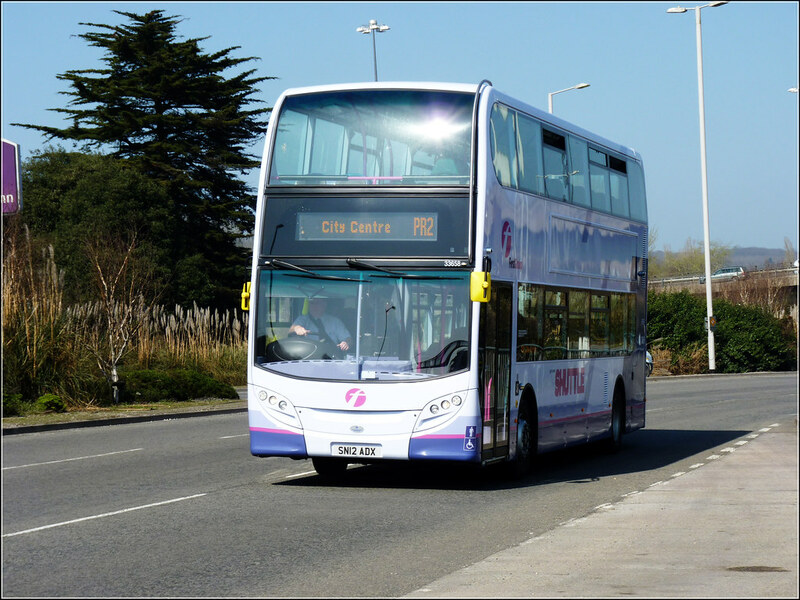 Finally managed to get a few decent shots of the new Park & Ride fleet yesterday. For today we have a few shots of 33658 which I have managed to capture from all sides. That's right - I couldn't believe it either! 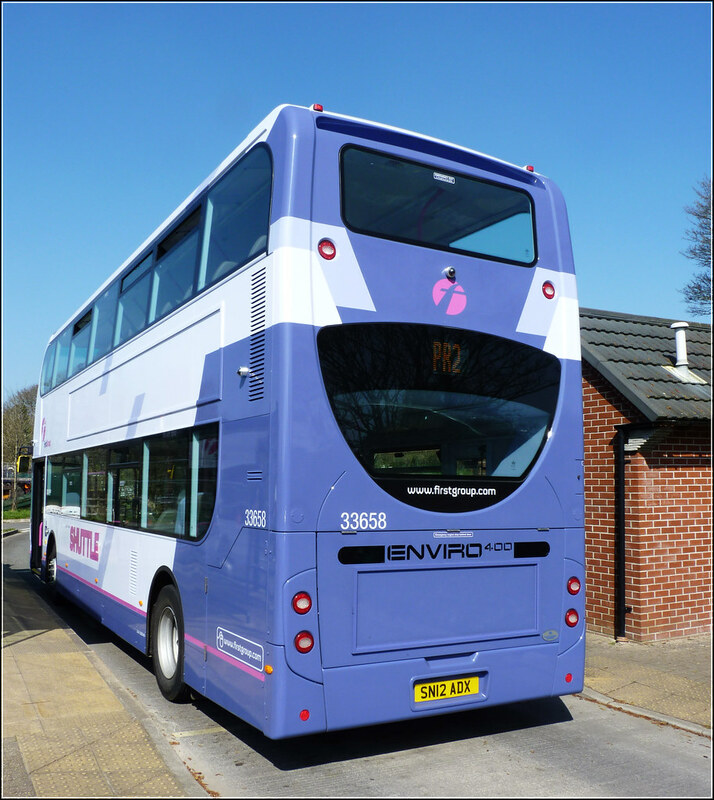 It seems there must be at least 10 of these new double deckers, if 33658 is around, and we have 33660-33667 (8 buses), it is probably safe to assume we have or will get 33659, giving us 10. 33411-33419 was only 9. 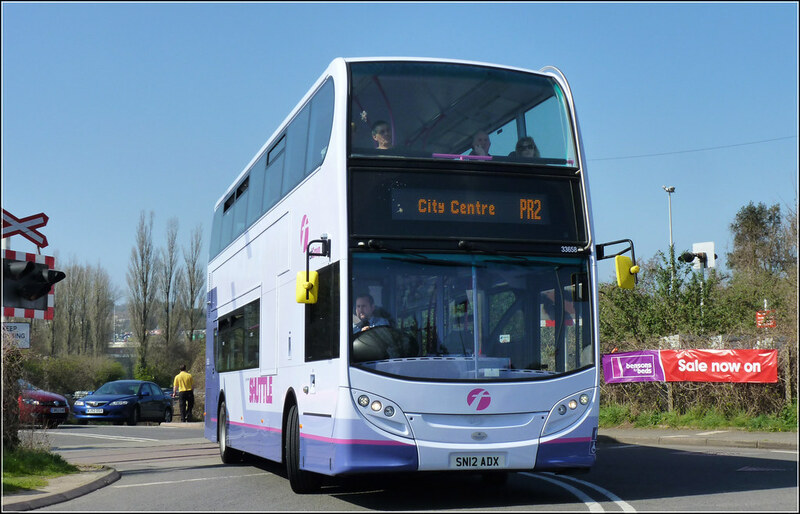 As you say, nice that PR2 looks set to seem a regular double decker run like PR1 - although an occassional imposter adds a bit of variation. 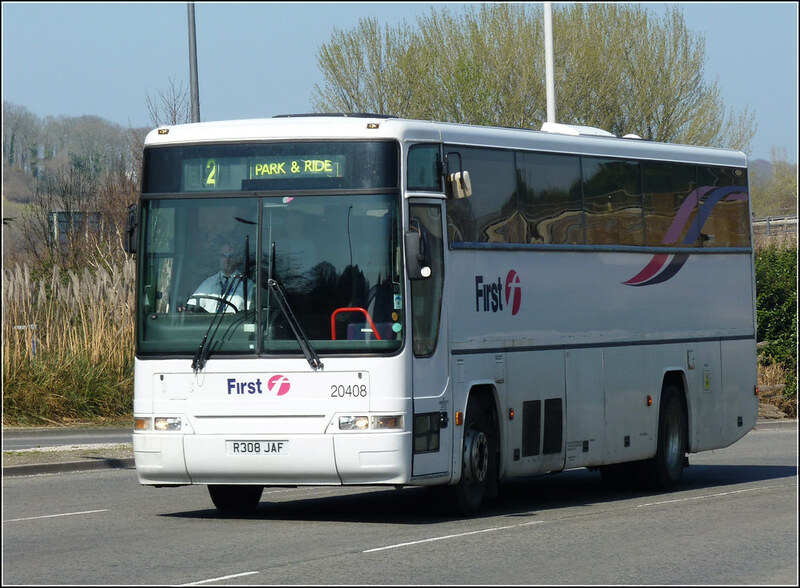 Years ago a coach occassionally turned up on my school bus run, and when I had a choice of routes to catch, the one with the coach used to win, if only for a ride on something different! Full batch should be 33656 - 33667 ie 12! Expect the First Wright B7's to Disappear Soon. It turns out our SN12 new Enviro 400s are part of a bigger batch of new double deckers, SN12AAV through to SN12ADO are 20 buses are for Abellio London, for the Battersea route C2, and are fleet numbers 9524-9543.
the coach is on there atm due to one of the new buses having a bump a couple of days ago. An awful lof of new buses these days are registered by the builders rather than the operator (esp the larger group) hence the SN12s. This has been going on for a while - we still have the SN05 batch of Darts which were new to Devon & Cornwall with their Scottish Regn.